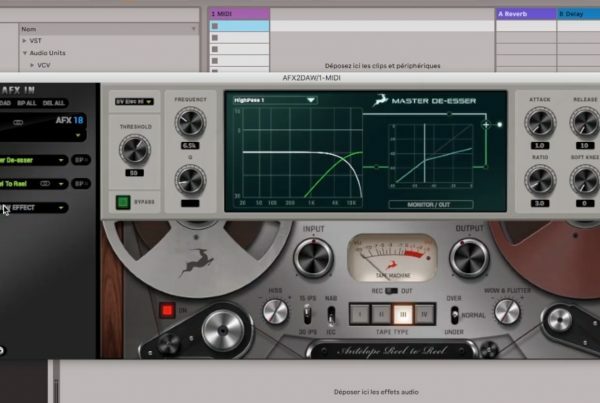 Long-time Antelope Audio friend and follower James Ivey recently took an in depth look at the AFX2DAW plugin which is currently available for Thunderbolt™ on macOS. James teamed up with songwriter and guitarist Paul Sundt and armed with an Orion Studio 2017 they tracked his song ‘Crazy Lady’. In the video below you can follow the whole process – from recording, to mixing – only with Antelope Audio gear and the AFX2DAW plugin at hand. Antelope Audio has recently launched the long-anticipated AFX2DAW plugin – a bridge between our industry-acclaimed FPGA (Field Programmable Gate Array) modeling engine and the fast DAW workflow. With near-zero latency integration of all our vintage FX models into your preferred audio production software, AFX2DAW is another step in the future of audio technologies we at Antelope Audio are eager to enter – a world where hardware and software walk hand in hand for a next level of audio recording, music creation and post-production.